I am very happy to announce that the first two dogs have passed Level 1 and earned their certificates. Nicola Barton’s Jiang and Tess Callaway’s Cicco were proud to receive their awards last Sunday 6th October. and Jiang is too cool for school. Level 1 is a foundation course for both the dogs and their owners. By starting to learn some basic good behaviour the dogs will find it easier to learn new things in the future. Their owners get a grounding in how dogs learn and how to deliver a treat with precise timing so that the dog knows exactly what it did right. Jiang and Ciccio are now able to ‘sit’ and ‘down’ on a single verbal command or visual signal. We tested them on the verbal command by making sure they performed perfectly even when they couldn’t see their owners face or if Nicola or Tess were lying on the ground. Sometimes when dogs follow a command, they are picking up on body language or environmental clues without really understanding what the word means. 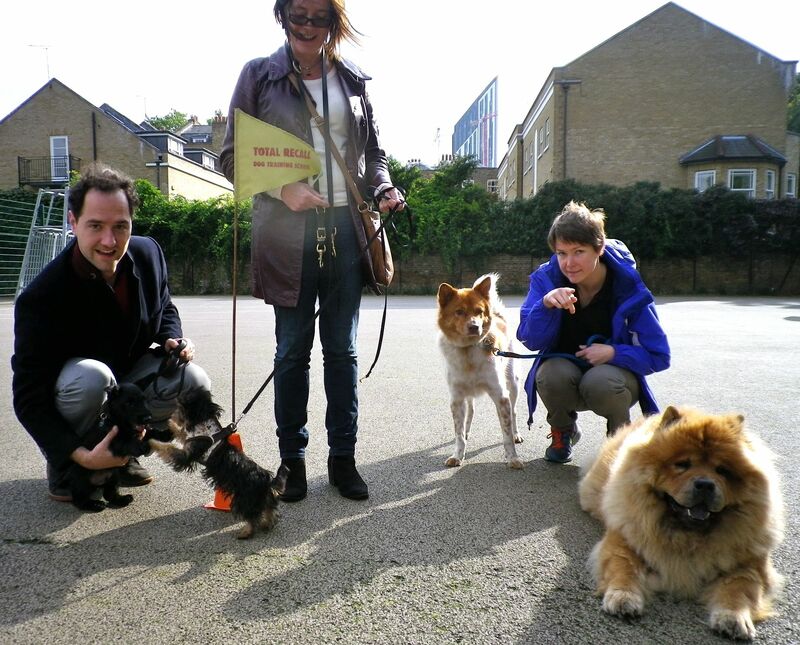 Level 1 dogs also begin to learn the command ‘leave it’ and are able to ignore a treat held in an open palm. One of the most important things a dog should do is come back when called. This is such a difficult thing to do when there are distractions around that at this stage we only require that they play a game of running between two people for treats. They also learn to follow outstretched fingers and touch them with their nose. I use this to re-position Lola when we are traveling on the tube, or if we’re in a cafe, but its a good skill for dogs training in obedience or agility. 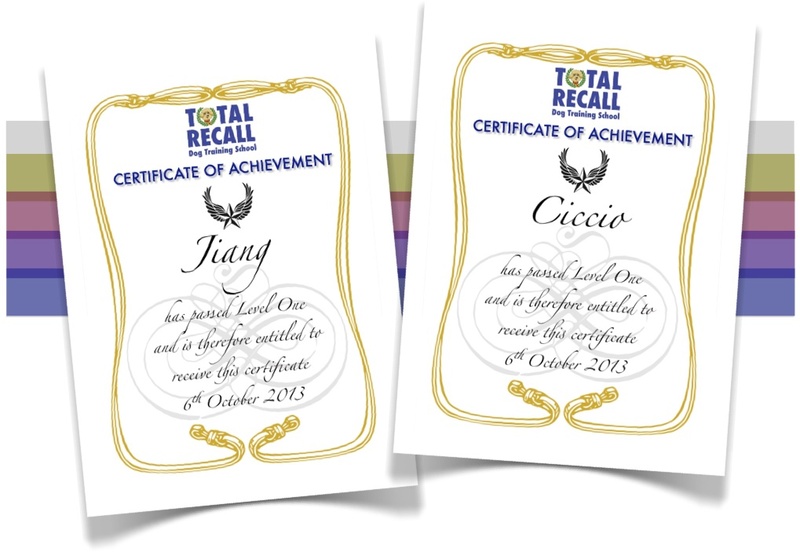 Coming up in Level 2: Ciccio and Jiang learn ‘stay’, ‘watch me’ and a party trick of their choice. This entry was posted in Uncategorized and tagged certificates, dog training, levels training, london, obedience. Bookmark the permalink.